More and more people are asking for Roll Up Banners and Perth Graphics Centre is taking up the challenge. 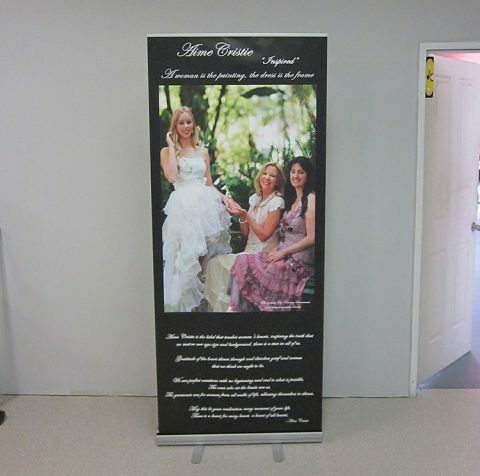 Shown here is the most common roll up banner (also called pull up banners) which has two feet which swing out from the base, giving greater stability. It’s great for a cost-effective roll up banner solution and comes with its own carry case. If you have a display or need exhibition signage, then these roll up banners are perfect. As we produce them in-house, we have complete control over the whole process. If there’s anywhere that has expertise in roll up banners, Perth Graphics Centre is it.